The Avengers – Earth’s Mightiest Heroes Volume 2 – Captain America Reborn! The Comics Journal Online Reborn! Tsunayoshi Sawada AKA “Hapless Tsuna” AKA “Loser Tsuna,” is a high school failure when it comes to socializing and sports. That all changes when the toddler assassin, Reborn, comes knocking at the door and informs Tsuna that he is destined to be the 10th boss of the Vongola crime family. Tsuna, of course, rejects his destiny, but with his magic “deathperation” bullets, Reborn will make a boss man out of Tsuna, yet. In Reborn!, Vol. 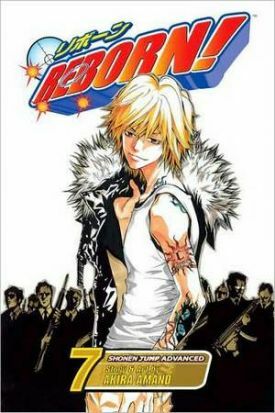 7, Tsuna is targeted for assassination by a rival family, and the only one of Tsuna’s crime family who can see the assassins is the hot-tempered explosives expert, Gokudera Hayato. Hayato, however, has been physically transformed into a toddler like Reborn, and no one listens to kids – even the target of the assassination himself. THE LOWDOWN: Although Reborn! has an overall story arc – the admittedly comedic journey of Tsuna to mafia boss – the series remains essentially a situational comedy and ensemble comedy. Each chapter is a single episode, although a few stories last two of three chapters. Like Takashi Hashiguchi’s Yakitate!! Japan, Reborn! thrives on a large cast of eccentric characters. The treat is that creator Akira Amano can come up with so many variations on a theme. Comedy probably hasn’t done so many hilariously weird things with a cast since “Seinfeld” disappeared. POSSIBLE AUDIENCE: Manga readers who want comedy will find it here.